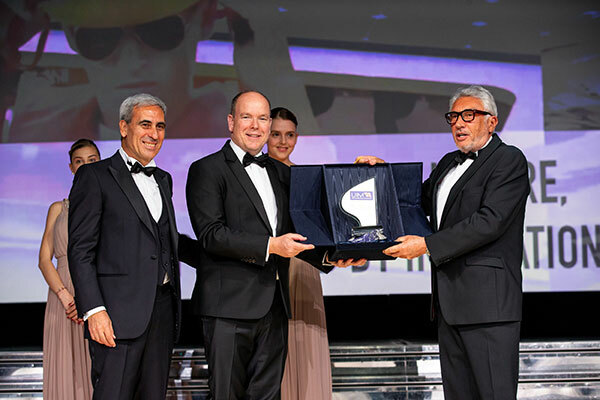 More than 400 competitors and VIP guests from the world of sport, boating, business, NGOs and media gathered for an occasion that culminated in the crowning of Shaun Torrente of Team Abu Dhabi and Estonia’s Stefan Arand as UIM Driver and Junior Driver of the Year respectively. 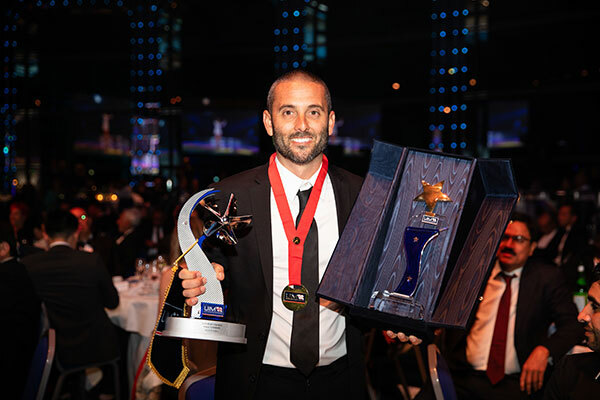 Shaun Torrente ( Team Abu Dhabi) 2018 UIM Formula 1 and XCAT World Champion and 2018 UIM Driver of the Year. 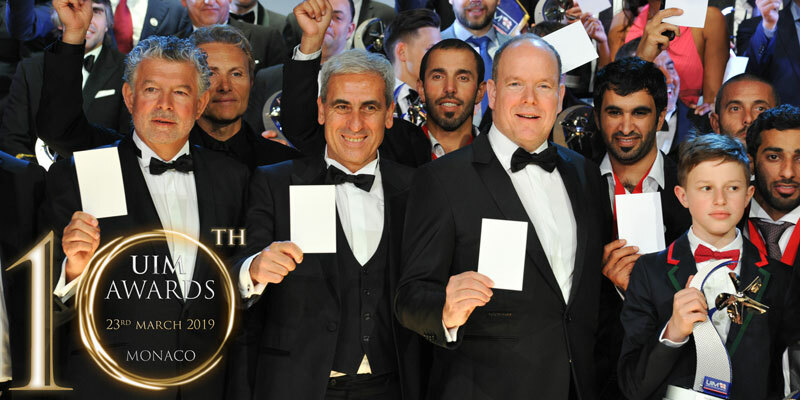 Co-sponsored by Tianrong Sports – the Shenzhen-based promoter of the UIM F1H2O World Championship Grand Prix of China – and H2O Racing, the all-star affair was a fitting celebration of the individuals and teams who dominated the sport of powerboat racing in 2018. 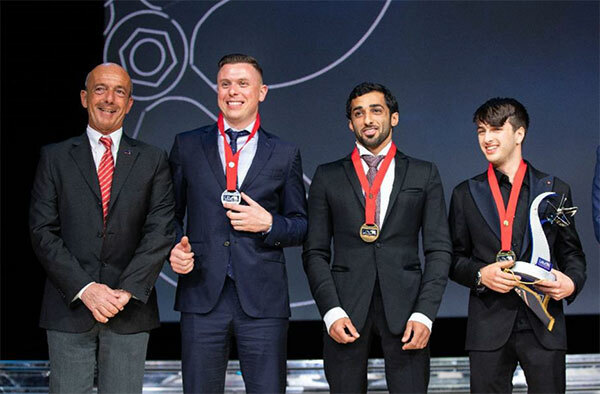 From left to right: Giacomo Borgonovi, Chairman of UIM Formula Committee, Edgaras Riabko and Rashed Al Qemzi , 2018 UIM Formula 2 World Championship Bronze and silver medalists,, Alberto Comparato, 2018 UIM Formula 2 World Champion. About Shenzhen Tianrong Sports Culture Management Co. Ltd. Since 2006, Tianrong Sports has been the exclusive institution authorised by the UIM for the promotion of the UIM F1H2O World Championship in China. It has successfully held the Grand Prix of China on 20 occasions from 2006 to 2018 and provided an unprecedented platform where Chinese cities present themselves to the world through the live TV broadcast to over 100 countries and regions. 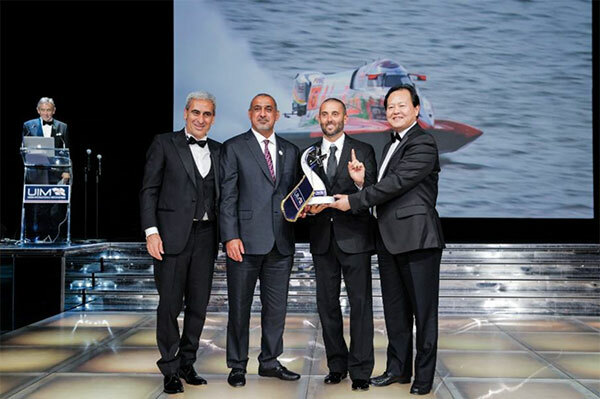 In June 2018 Tianrong Sports staged the UIM F1H2O World Championship Grand Prix of London for the first time with the initiative of developing its overseas market. 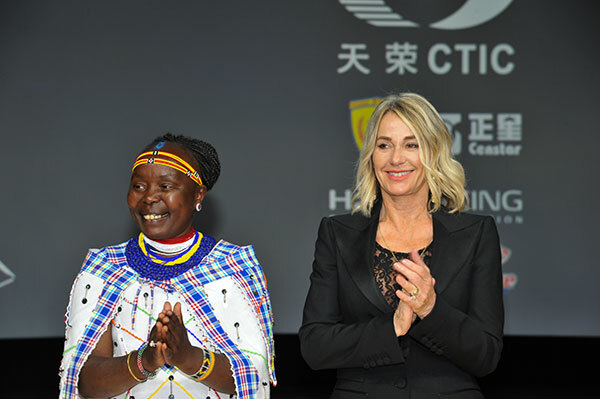 Together with the General Administration of Sport of China, in 2006 Tianrong Sports established the F1 China CTIC Team, which went on to win the F1H2O World Championship from 2014 to 2016 and finish as runner-up in 2018. In order to capitalise on sports-themed investment opportunities, Tianrong Sports Chairman Li Haojie and NBA Hall of Famer Yao Ming founded Yao Capital, a leading Chinese private equity firm both in China and globally. Yao Capital invests in a broad range of sports-related new-lifestyle fields as related to media marketing, sport-derived products and services, sport Internet etc.